Government funding and equitable access to university education in Newfoundland and Labrador, 1949-2014. Memorial University St. John’s campus now. In 1949, Newfoundland joined confederation under its new leader Premier Joey Smallwood. One of the main ambitions of the Smallwood government was to make university education accessible in the province. Memorial University was granted degree granting status in 1949. Prior to this Memorial was in the words of historian Mac Macleod “a bridge built halfway;” it offered only a two year program, so students had to complete their degree elsewhere. 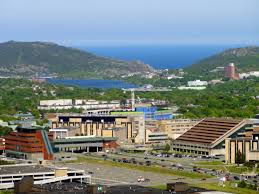 This case study assesses how changes to provincial policy and funding affected access to university education in Newfoundland. Changes in the governing party often brought changes in how education was prioritized and so in spending. Today, access to university education is still a contributing factor to inequality in the province. 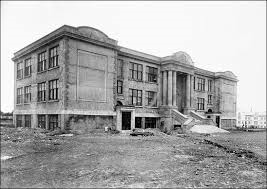 Smallwood Government 1949-1972: the Dominion-Provincial student aid program ended as did the Canadian student loan program in 1964, which influenced the provincial government to establish a Royal Commission on Education and Youth. The results of the commission led to the government providing tuition free education for all students in 1966. Moores Government 1972-1979: education was still a shared priority for the provincial and federal government. In 1976, the Canadian government signed onto the UN’s Covenant on Economic, Social, and Cultural Rights, which included a commitment to gradually introduce free education at all levels. Peckford Government 1979-1989: the Canadian Constitution was adopted which guaranteed equity through a federal-provincial transfer system. Wells government 1989-1996: the provincial government introduced a student loan remission program, which forgives student loans. In 1995-96 the Canadian government dramatically reduced transfers to the provinces, which resulted in an increase in tuition fees. The Wells government focused on financial aid for students, instead of operating funds to the university. Tobin government 1996-2000: the provincial grants program was replaced with a system of provincial student loans. During the late 1990s, tuition fees across the country were rapidly increasing. Frustrated students came together in a day of action to pressure the Tobin government to freeze tuition and in 1999 the very first tuition freeze began in Newfoundland. Grimes government 2000-2003: students lobbied the government to reduce tuition fees, which resulted in a 25% reduction in tuition fees over a 3 year period starting in 2001. In 2002, the government began a debt reduction grants program. Williams government 2003-2010: the government maintained the tuition freeze. In 2004 the government launched its White Paper. In 2007, a day of action by students resulted in changes to the needs based grants program. In 2009, the government committed itself to eliminating interest on provincial component of student loans. Dunderdale government 2010-2014: the government maintained the tuition freeze and announced that it wanted to see everyone’s first degree paid for by the provincial government. Marshall government 2014: the provincial government replaced provincial student loans with a student grants program.